A thrilling, down-sized version of Texas Hold’em mixed with slots that you play on a machine, video poker offers plenty of entertainment whenever you want, with lots of variations available, and some classic casino action. 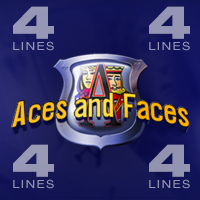 The overall look and feel is like a classic slots game, while the rules and payouts are poker-based. It won’t take long to learn the rules; you get two deals to make the best hand of 5x cards and if your hand matches the paytable on your video poker game, you’ll win a payout. Online games at MansionCasino.com are available 24-7, whether you choose Practice Mode or Real Money Mode, casino app or flash or downloaded software. Try our exciting game today and you might also be eligible for a casino bonus such as our Welcome Bonus up to $/€5,000 offer to players new to our casino and tables. 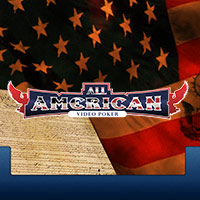 An American creation, a form of video poker has been in existence since the late 1800s, with a simple drum-style machine and standard deck of card icons leading the way for the exciting game we know today. A lever spun the drum and the cards that showed were used by players to make their best 5-card hand based on poker rules. In the 1970s, when technology improved and both video poker and slots had already grown popular, an innovative company found a way to combine the two, adding the Hold buttons and Draw buttons that are still used today. As video poker became an online casino games option after the internet was created, the game styles, themes and games rules could be expanded and altered to create extra excitement and options for players; for instance, giant progressive jackpot games were added, along with turbo speed options, extra paying hands, and multi-hand games. You’ll find a full range of options in our casino lobby, with real money and practice versions available – check out what’s available to see what you’d like to play today. Every game has the same premise when you play video poker; you start with five cards and you can either redeal to replace all five or hold some cards and swap the others. You always get two sets of cards for your hand and you must make the best possible hand available to you. When you make a winning combination that matches the payout table, you’ll receive a payout. There are also Practice Mode casino games available that you can play for free, and while these provide plenty of entertainment, the main difference is that you won’t win actual cash. We’ve listed some of the most commonly used video poker terms that you should know before you play, to make your time at the tables easier and, therefore, more fun. Knowing these terms helps you to understand the software buttons in our internet casino as well as some basic terms you might come across as you play. 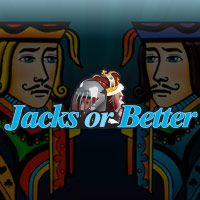 Bet Max: This means wagering the max amount of coins and setting the game in motion in one click. 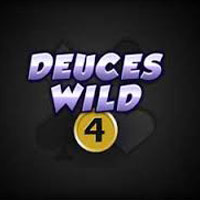 Deuce (Wild Card): This is the card showing a 2 and it is also wild, which means it can replace the other cards on your machine for more opportunities to win. Hold: Hit this to keep any card in place as you discard the others and have another deal. You keep your best cards and can hold multiple cards at once. 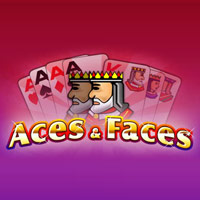 Multi Hand: These video poker games allow you multiple hands to play with – they are fast-paced games with double the action. Pay table: This shows your possible winning combinations and how much you are paid when you win. Progressive Jackpot: This growing jackpot will keep increasing until hit. 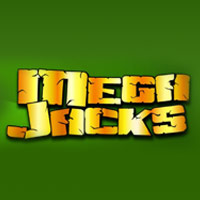 It requires an extra side bet to be eligible to win and is available in real money video poker games only. 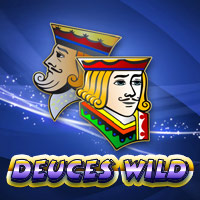 Wild: See Deuce (Wild Card) above. 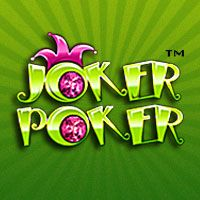 You might be starting out playing video poker online or you might be new to our software; either way, a few tips are a handy way to get started and get the most from your time spent playing. Whatever your experience levels, we’d advise you to keep the following in mind when you play to get the best from your game. Tip 1: Plan Your Money: if you’re playing free games using virtual chips, you just hit the tables and play, but if you’re playing in Real Money Mode, you need to have a plan in place for your cash. What’s the max you want to wager per session? 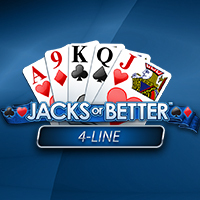 Do you want to keep your winnings as future bankroll, cash them out or play them? Which max and min stake match your own bankroll? 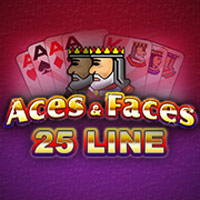 Know your plan and keep to it to enjoy the best online video slots experience every time. Tip 2: Take Time to Read Rules: every video poker game may have the same basic premise, but each also has its own special features and rules – for instant, Jacks or Better and Tens or Better have different initial winning hands and this affects how much you are paid for each hand. Knowing the rules gives you an advantage when you hit the machines; you know what you’re doing and you can make faster decisions and you’re free to enjoy the overall experience without confusion. Tip 3: Know Your Odds! Do you play for lots of smaller wins that are more likely to hit, or do like bigger thrills and the chance to win bigger payouts but less often? It’s all down to preference and how you play. Knowing the odds of hitting a hand can help you decide what bets to place; for instance, did you know that there’s a 1in3 chance of hitting a low pair, or a 1in50 chance of hitting three of the same card? Meanwhile, a Royal Flush comes in at a 66,5000 in1 chance! Different games have different odds on their hands, so have a look at the payout table and the lower the payout, the more chance you have of winning. The top hand boasts the highest value, the bottom has the lowest – but all are winners! Check out the paytable on your video poker machine to see how much you can win. Royal Flush: all cards are matching in suit, and contain a five-card running order from 10, with all picture cards and an Ace. Straight Flush: a run of five cards (eg 3,4,5,6,7) all of a matching suit. 4 of a Kind: a hand of four matching cards (eg 4, 4, 4, 4). Full House: A dual had containing 3 cards that match and a pair. (eg 3,3,3,7,7). Learn your software buttons and you’ll be able to play right away without any confusion. 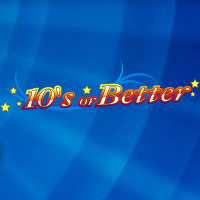 + and – (plus & minus signs): these make your bet larger or smaller, as desired. Bet Max: Play with max coins and deal the cards in one click – make sure you know the machine’s limits before you use this one. Bet One: Bet a single coin – click to add one at a time. 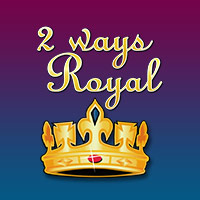 Double: only available when you win – this gamble game allows you to play for 2x your winnings but you can also collect your winnings or cash them out. Double Half: only available when you win – this gamble game allows you to play for 1.5x winnings but you can also collect your winnings or cash them out. Deal: When you click this, you’ll receive your initial cards. If you have held some cards and it is the second deal, only those you haven’t held will change. Hold: Click on this to keep that card during the next deal. Create an account: Fill out a quick online form that requires a few personal details, contact info, etc and once you’ve read and agreed to the T&Cs, your account will activate. Deposit: Pick the deposit option that suits you best, state how much you wish to add to your bankroll and complete the instructions online. You can also opt for your Welcome Bonus offer up to £/$/€5000. Play Video Poker: select your game in the lobby to be taken to your game. You know the rules and buttons, so deal those cards and enjoy the fun!